A graduate of Vanderbilt University with degrees in English and anthropology, Monika Blackwell emphasized journalism in her studies and was actively involved in the student newspaper and campus radio. She began her career as an associate producer at NewsChannel 5 in Nashville, where she wrote stories for the morning newscast. Upon moving to Texas, Monika began writing for local Brazos Valley publications and profiled students and professors at Texas A&M for the Office of Admissions and the College of Liberal Arts. 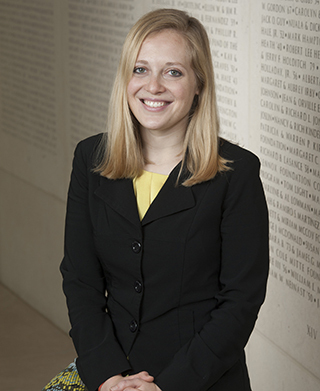 She joined the Texas A&M Foundation in 2012.